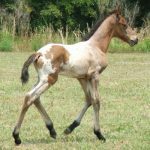 The Spanish Jennet is a new variation of equine breed, designed with an attempt of recreating gaited horses of a colored type that would bear a close resemblance to the Jennet (a small, light riding horse of Spain) which existed in the ancient times, also known for its pleasant disposition, natural gaits and well-muscled stature. 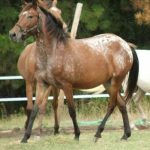 The modern Spanish Jennet is an athletic, agile breed excelling in endurance as well as trail riding because of its smooth gait. 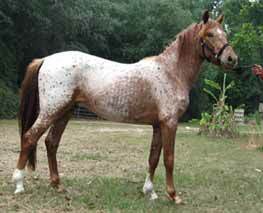 Colors Pinto or leopard patterned, Common colors are dun, roan, champagne, brown, grullo, perlino, cremello, palomino, buckskin, black. 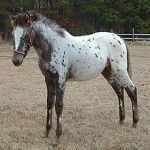 Gray is the only color that these horses do not appear in. Health No known breed-related health problems, though regular vet checkup is needed. 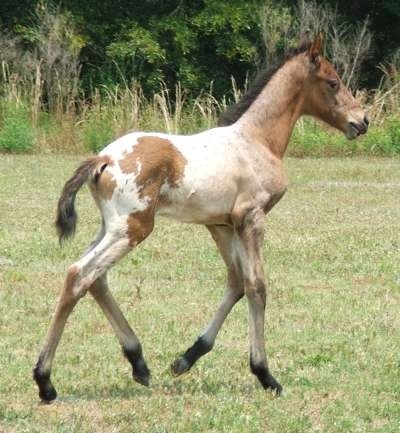 The term “jennet” was used to describe a kind of horse rather than a breed. 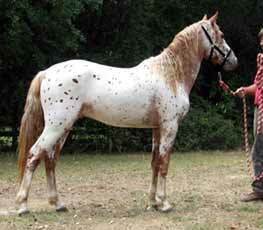 In fact, during the Middle Ages, this was a common term used to refer to a particular kind of horse mostly gaited. 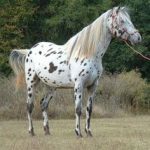 The majority of the medieval horses bred in Spain in the 16th century could not be categorized as breeds. The Italian writer Claudio Corte, in his treatise “II Cavallarizzo”, writes about these Jennets, mentioning them to be good war horses., being commonly used by the Spanish cavalry. The castle of Venafro has many frescos where the Jennet is portrayed and seems to have a close resemblance to the Peruvian Paso or Criollo horses of the recent times. The Jennets originating in Spain had uniformity as all of them were produced in a particular geographical region, also being the result of selective breeding in the Middle Ages for the purpose of creating a smooth riding equine breed suitable for a la jineta (a riding style where the person rides with his legs tucked up). 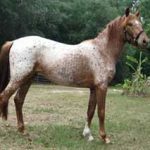 In fact, during that time, the breeders or horse enthusiasts would call their animals by names of the regions they thrived in or the family they were bred in. The Spanish Jennets gradually came into being as the assorted Iberian horses migrated to America. 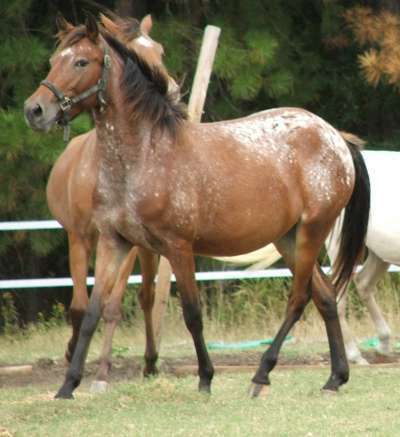 The Peruvian Paso horse and Paso Fino are the descendants of the Spanish Jennet. 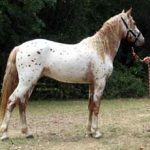 The Spanish Jennet Horse Society is making efforts in creating and preserving this new breed of horses. According to the criteria of the registry, the animals belonging to the Pintado division (pinto patterned horses occurring in shades of Tobiano, Sabino, and Overo) should completely bear the Paso Fino lineage whereas those of the Atigrado division (leopard patterned) should have at least 50% of Paso blood. As they are adept at handling cows, this breed is used for cow penning.